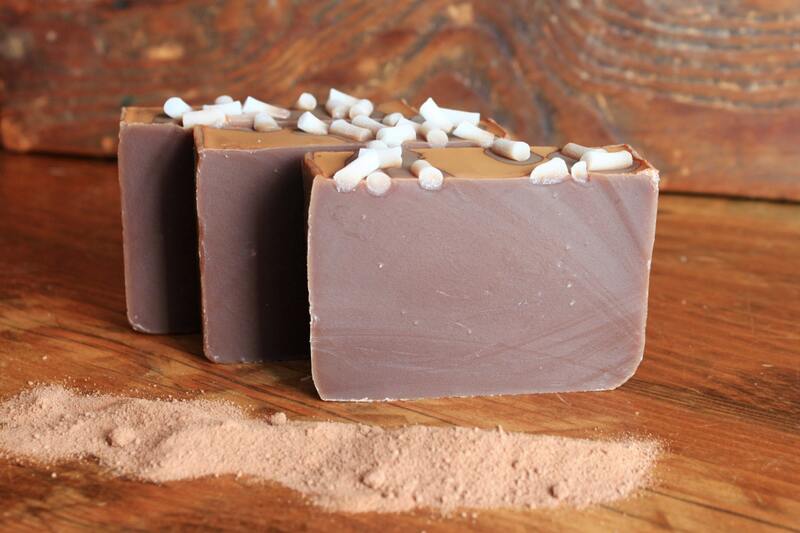 Featuring real cocoa powder along with olive oil, sunflower oil and cocoa butter. 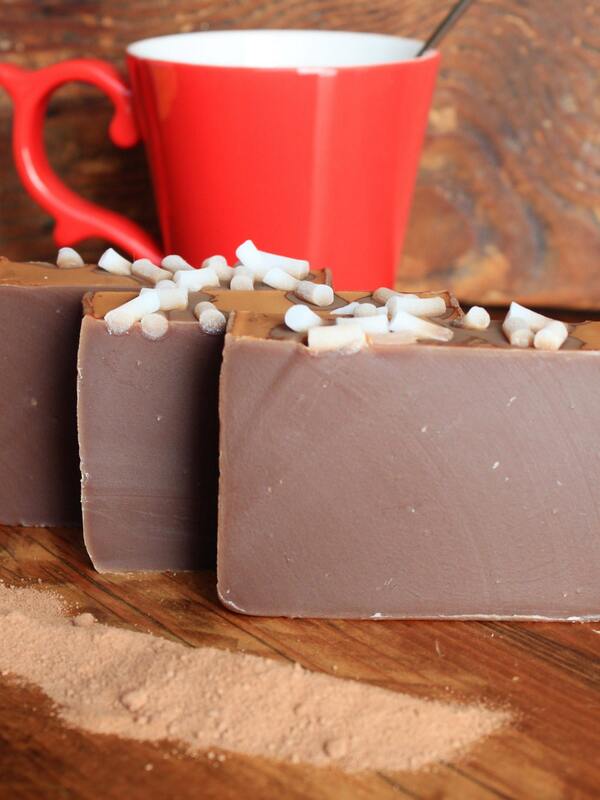 You'll notice the cocoa as you lather up this bar in the bath or even at the sink. This soap is created with the cold process method of soap crafting in small batches with care and attention to detail. These bars are a generous size at 2.5" x 3.5" and weigh approximately 4 oz. Great for large hands or cut them and use half at a time and keep the other half tidy. 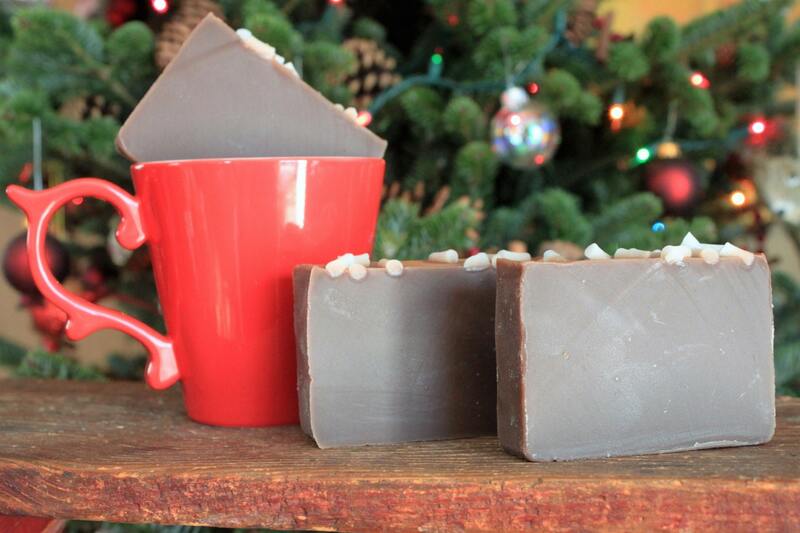 Handmade soap is special and to get the most from them they should be treated specially. Never leave your soap in standing water, when in the bath always put it on a ledge out of the water. When finished with your soap keep it on a draining soap dish or stand the soap on its end, this will increase the life of your soap so you can enjoy them longer. Each bar comes wrapped individually to keep the scents from combining. We are happy to accept credit cards as well as etsy gift cards and PayPal for your convenience. Most of our items are processed to be shipped within one to three business days using USPS which includes insurance to addresses in the US. Please note that any customs fees or other fees associated with international shipping are the responsibility of the buyer. I hope you will love all of your new items. But if for some reason you do need to return or exchange please contact me so that we can resolve what ever went wrong.